In a little bit I will be running around getting things ready for New Year’s Eve irl. However, I just had to hop on and wish you all a Happy New Year! I cannot wait for 2016 and all the goodness it will bring. Erratic Lingerie for Maitreya and Vintage & Cool Fair! Guess who released Maitreya compatible mesh today? Erratic! The Giselle lingerie and Alexis corset had come out in a past Uber for SLink Physique. I like the SLink Physique body but I am in love with my Maitreya body even more. I was sad that I was unable to wear this set and the creator of Erratic herd my prayers! You can pick up the Maitreya version at the Mainstore and there is a 30% markdown for group members for a short time. You can find the dresses, blonde hair, and the heels (not the boots) at Vintage & Cool Fair. I happen to have the best news for you. 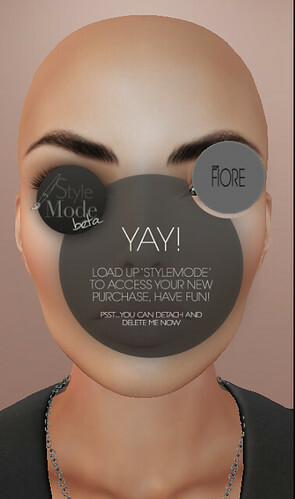 Fiore released an applier for The Mesh Project heads. Sad that her own mesh head wasn’t able to be released. However, she did give us skin lovers something to salivate over! How does this work with the Style Hud? First you buy the Mocha skin (at the skin fair) in your choice of skin colors. Then, you buy the installer (also at the skin fair). Chose the installer and wear it. It prompts you to click the hud to load the skin. This is what you see after. Now where in the style hud do you find it? Click where the arrow is pointing to and then the applier options are what I circled. Also something important to know. It IS possible to add parts from The Shops. You just click the part and put it on. 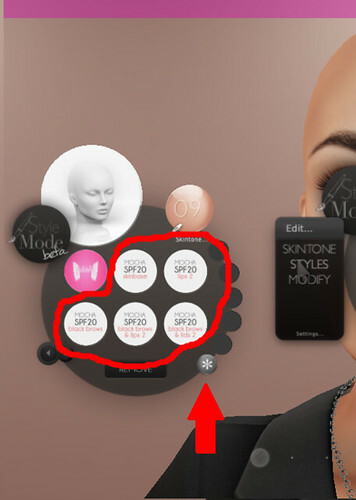 This is an advanced step since it involves trying to color match The Shops products to the Fiore skin. Anyway, here is my attempt. The lips are actually from the Bianca skin. The eyebrows are the Soft brows in brunette. This is a trick I found works, considering that the Fiore Mocha applier only comes in black brows. If you wear the soft brows from The Shops, you get a whole range of eyebrow color options! By the way, the lips and eyebrows are in the 09 skintone. They appear to work well with SPF 20. So what have we learned? There is a way to customize the mesh head to make it look completely your own. Don’t be afraid to mix and match pieces to see what works! Unless you have been living under a rock you know the Skin Fair will be upon us… publicly. I headed over and check what I got. 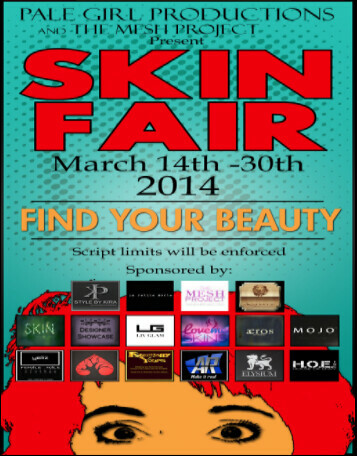 Welcome to Skin Fair 2014! 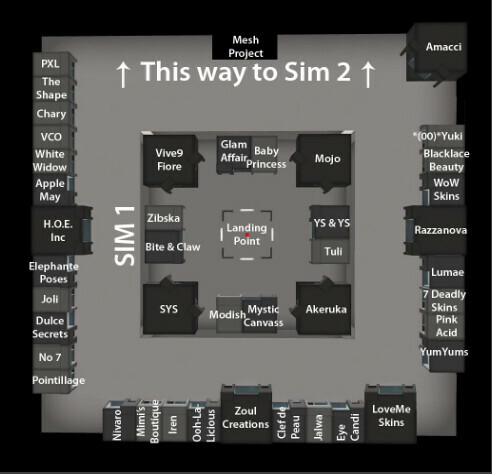 I now have the current maps and urls for the skin fair. Just expect more Skin Fair posts. The skin fair has 120 plus designers this year! Early Access is permitted for certain groups which you would have to be apart of by now. Anyway, Early Access starts at 12:01 am March 13th. The Fair will open to the public starting at 12:01 am on March 14th and ending March 30th. – Wear minimal to NO scripts and other lag intensifying items! That means leave your mesh at home. – When arriving at one of the three landing points, MOVE OVER A BIT while you finish loading in. 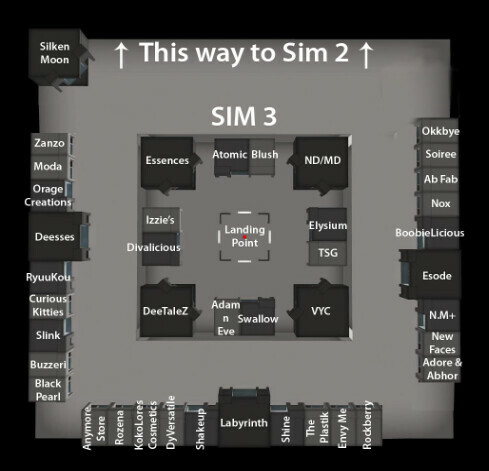 Nothing is worse than being that person stuck floating above someone who is loading the sim slower than you. Usually you are stuck floating and it disrupts the experience. – Just forgo wearing everything and wear a full body alpha. That way you won’t render at all. No adding to the lag helps everyone! – The sims are strictly PG. 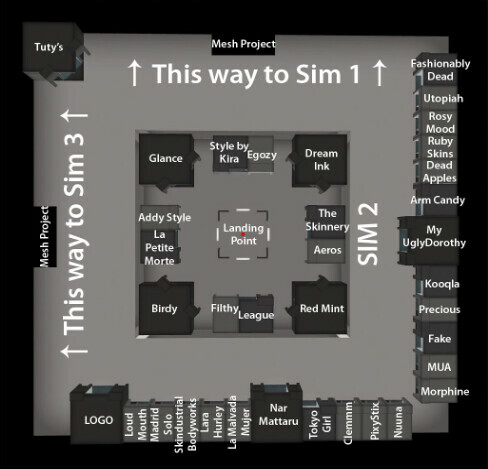 If you want to see every nook and cranny of a demo, please collect demos and head to a sim not attached to the Fair and try them on.